30 more Delta Air Lines readers Q&A on the way! 1) deltaplat & Aleks asks – If I’m a medallion member and I fly on another Sky Team partner, do I get the bonus miles I would if I were flying on Delta? What other medallion benefits when flying on Delta do or do not apply when flying on the rest of Sky Team? And, how have other ST partners, primarily AF and KL, been so far honoring Elite+ and/or SkyPriority of DL elites? Bonus miles for Delta are based on the Delta fare class if you book Delta flights or code share flights. Keep this in mind on the web site as if you book KLM / AF code flights it could affect earnings and you can check this chart at the Delta site. Most of the time the partners are good about honoring Elite+ etc but you sometimes have to remind them of that fact. Also, it was just announced that the skyteam benefits should be aligned soon. 2)Samuel asks – Do you have any idea what’s the Delta policy on operational upgrades (op-ups) – I know status makes a world of difference, but how about time of check-in? Since an operational upgrade is “controlled” by the airport it is not an official Delta policy. However, I have been told the ground personnel is to follow the policy outlined here. Having said that, there are exceptions as once the boarding door closes the head purser is in charge of the flight ( after flight officers ) and can do as they please. 3) David AL asks – Question about the DL Reserve. My renewal is in May. Can I then book the companion cert in June, and cancel the card and have the $450 prorated back to me? I’m picking up the Biz version instead. You ask a great question. The terms and conditions for these type of certs all just say “Tickets must be purchased with your Delta SkyMiles Credit Card from American Express”. Now, I had a gold personal card but no longer. I still have the $99 companion ticket voucher in my account as well as my FREE one from my Reserve card. I am sure I could use them both if I would want and your question spurred me to write a blog coming Monday btw. To be safe I would pay for the ticket with your old card before you cancel as once it is booked it is yours no matter what! Also AMEX does NOT prorate cards so just keep it until year is up. 4) The Deal Mommy asks – I have a RT reward coming up in AF IAD-CDG-MAD-TFN. At the time I only had the 60k miles so booked it in Economy. I have more miles now. Is it worth the 40k miles, plus $150, to fly in a business class seat? It’s really only the IAD-CDG leg that will be upgraded since intra-Europe biz is so bad. I’m a lowly silver so will have to pay the fee, but do have lounge access via plat AMEX. I know we’re supposed to get best value by booking business, but am having trouble deciding on this one. Your thoughts, please? OK I am going to boil down your question to is business class worth $150 change fee. YES! Why are you still reading this? Call DELTA and burn the miles and the cash! Also try for as much biz in Europe. I agree it is not that great but it is better that nothing for no extra charge! BTW before you spend the money try to see if there have been any schedule changes that will allow you to do it for free. 5) SF asks – Having made PM for the first time in a while, can you offer advise on how i can use my (SWU was PMU) PM Systemwide Upgrade Certs to upgrade a DL marketed/AF operated flight from AF Premium Voyageur to Business class. Reading the T&C it looks like I can do this if my flight is booked in S/W class. What is the best method of determining when the AF flight has Business class upgrade seats available? I will bundle this with another question about SWU’s. With Delta they stink internationally. In the past you could get good value booking on AF/ KLM but now they have upped the fare code needed and as LUCKY points out in this post it is just not worth it anymore. Now for domestic use the SWU’s can have good value. You many times are paying full coach to get the biz seat. But, depending on the route, a PM or DM may get free upgrades for LUT class if you are willing to risk it. 6) James asks – All things (mainly price/layover time/journey time) being roughly equal, which of Delta’s three main hubs (ATL/DTW/MSP) do you prefer connecting through? And of Delta’s minor hubs, are any to be avoided? Thanks. This is another one of those subjective ones but also can be quantified somewhat. DTW and MSP in the middle of winter can be hit and miss. ATL in spring storms is bad. EWR seems always to have delays so the expansion makes you humm…. Most of the time I find DTW just works and is not as crazy as ATL. But that is just me. 7) Anna asks – What is the on-time service like for Delta in general? Do their flights usually take off on time/land on time? Are there a lot of cancellations? I have a blog post on this coming this week. Please check back and I will update. Delta is doing well but I always try to plan for extra time for connections as worst case I have down time to relax in the skyclubs. 8 ) Andrew asks – [I had to edit this shorter sorry Andrew] … how do you know which Delta/American Express card is really best for you and for mileage? I did manage to spend $ 50,000 on the Sky Miles Card in Business/Personal this last year and I did get to Platinum Medallion Level through spending and through travel. Great question Andrew. For me the Delta Reserve is a no brainier. Why? With that kind of spend you are getting 30k MQM a year. So, with only 20k you are GOLD. 45k you make Platinum Medallion. You get up to 30k bonus RDM’s as well. Skyclub access for up to two. You can add on others with Delta Platinum for free! 9) Ian asks – Is it possible to SDC in the middle of an itinerary and have your luggage arrive with you? I tried this as I had a very long layover in atl. I asked the sky club agent about doing an SDC to an earlier connecting flight and she responded I could change, but that my luggage could not be moved. This struck me as a bit strange. Great example of how the reps run our airline today. The “rules” are, as a result of passenger bag matching security requirements following Pan-Am flight #103 back in 1988, that the bag must travel with the passenger. The confusion comes into play due to the screening requirements now in place since 9-11, to screen every bag, the idea being that all bags allowed to be checked are safe so who cares which flight you take versus your bag. The big exception that overrides all of these rules seems to be that it’s OK for the airline to separate you from your bag, but not OK for you to separate yourself from your bag. So the answer to your question becomes essentially, it depends on the rep! Ask nice and say I know I am asking for a lot but it would so help me. 10) Danny asks – Mine is more a philosophical question – why Delta? Why did you originally choose Delta as your airline of choice and why do you continue to stick with them? I live in a non-gateway city for any of the major legacy carriers and I’m always curious to know why certain FF are loyal to their airline and why I should consider doing the same. 15) Trey asks – Does delta sell drink vouchers on their website or anywhere? My parents will be flying delta this spring and I would like to gift them some drink vouchers but do not have any currently. You can get them as a SKYbonus redemption but they do not seem to be available officially through Delta. EBay offers abound but be careful as it’s officially against the rules and Delta can suspend your SkyMiles account if you buy or sell any of these sorts of perks. Giving them away is perfectly OK, however, so why not check with Milepoint or Flyertalk and just start a post and ask if anybody has some to spare they’d be willing to put in an SASE you could provide? I bet you get all you need quick ( we are a giving bunch are we not ). 16) Eric S. Asks – Is there a way to search for award availability on Skymiles partner GOL Airlines in Brazil? Have you heard of anyone successfully booking an award using/connecting to GOL? It doesn’t look like this would work easily through Delta.com, but depending on what kind of travel you want to book – US to Brazil using Delta flights connecting to GOL flights or all GOL flights originating in Brazil on GOL connecting to Delta flights to other destinations – the easiest solution might be to utilize the GOL site to check for availability & flight numbers and then call Delta to see if they can act as liaison to arrange the flights for you. 17) AJM asks – Is there a place on your blog or elsewhere that I can find a dictionary-of-sorts with all of the abbreviations used on travel blogs? I’m relatively new to this and often can’t decipher what’s being said! Help! Yes! We’re working on it! I will find a good place to put it & ask what you all think. This is a great idea as we do tend to shorten everything in life like it is all a big text or tweet! 18) LKM asks – I have an upcoming flight to Kauai in a few weeks with my husband in coach. I have the delta gold credit card, is there any chance that we could at least score exit row seats if using the online check-in 24 hours in advance. We are very infrequent flyers so I don’t know the game well. We are both very tall and it would be nice to have a little more comfort on such long flights….MSP to LAX to LIH. Would have loved to get into the miles game sooner and grabbed first class, but not enough miles or money for that this time around. Any advice for optimum seats would be greatly appreciated. It’s never too late to get started in the miles game! Welcome to the FF world! You’ve taken a good first step in getting the AmEx Gold SkyMiles card which gives you Zone 2 boarding at least. Your best option here is to check to see if economy comfort seating is available on your flights and see if you can book that for the fee, which according to Delta.com varies from $80-$180 per segment depending on length of the flight. Since full roll out of economy comfort isn’t scheduled for completion until this summer, if it isn’t available you could call and see if a nice rep will give you an exit row since the economy comfort you’d love to book isn’t available on your flight yet. If not, hang up and call back and ask the next rep you get! 19) Dave asks – If I have to call DL to book an award ticket which is UN-BOOKABLE on dl.com, is there any way to get around paying a telephone fee? Yes. One of the great things about DL is that when a rep works on a ticket it is LIVE on DL.com. So, have them work it up for you, when they ask if you want to ticket, say hang on and let me look over it, and then just ticket it free online and say I think I am good to go thanks for the help and you save the fee! There is more to life than status. As pointed out in Q41 in Q&A Delta Reserve card gets you so much why do more. Next, I would never ever split a PNR. Forget the upgrade and stay with the family and get a nice free HOOU (have one on us) coupon to drown your sorrows. 21) Eric asks – I have an AMEX gold if I upgrade to plat will I get a $99 companion cert or a free one? 22) robe0341 asks – Do you use any tools to help you find Delta award availability or cheap flights? Things like KVS or Expert Flyer or Flyer Talk? If so, do you have any tips for newbies trying to use them? 23) gpapadop asks – Can you post a blog on how companion upgrades work? In a nutshell with status you drop to the lowest level of medallion. For example (and I know this sounds like a joke) a Diamond a Platinum and a Gold all book “L” class tickets on the same PNR. All will drop down on the upgrade list to Gold and clear at that level. You can split the PNR but as already talked about that can be very bad! You can read more at the Delta web site here. 24) Rob asks – Hey, which Atlanta crown room is best? The one you got into free 😉 & the one with the xspress spa one floor down! 25) Richard1148 asks – I know that the award calendar is said to be broken, but recently have I have found that NO low level FC domestic awards price out correctly. Every one I check for any US domestic route prices as a medium award. (International awards seem OK). Do you know if there is a known bug in the system that DL is working on to fix this, or is DL simply not offering any low level domestic FC? As Delta keeps working on fixing the broken search engine I bet we will see more and more of this. When this happens we can search KLM / AF web site or just call I hate to say. I bet we see more of this until the fix is done ( if it ever gets done )! 26) Ozzie asks – Extra Bag Problem. Why isn’t there better website integration between partner airlines Delta, KLM and Air France – and do you think it will ever improve? 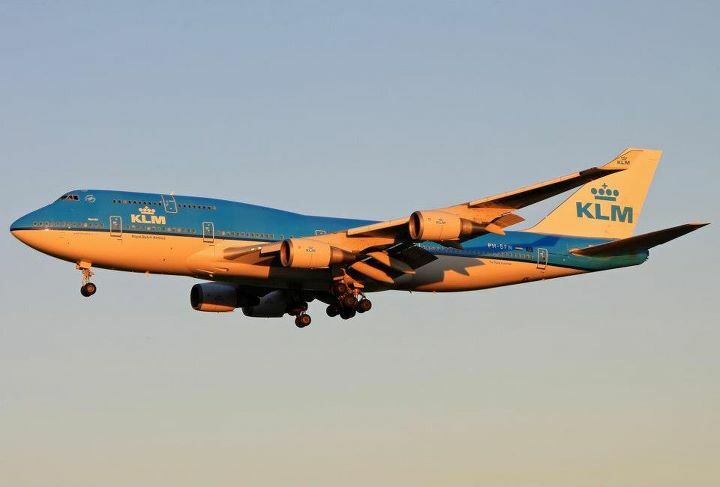 If you have not flown internationally you have not experienced the “toss over” to the KLM system for check-in. Now most of the time it works. I had EC offered free as a Platinum Medallion once and ended up in 1st with an SWU. For now, when things go wrong, keep your receipts if you are forced to pay for a bag and then scan then and tweet them to @DeltaAssist and I bet you get a check or ETV for what you paid. Not cash but better than nothing. 27) Dan asks – I booked a reward flight for two people to Europe – arriving and department at different airports. I received a note from Delta saying that “there has been a change affecting one or more of your flights” and I “may be eligible to change your flights(s) by clicking the Change Flights link.” Can I use this change to cancel one of my reward tickets without penalty? If so, would I also be refunded the Economy Comfort fee? Yes. Always keep 90 minutes in mind. A change outbound or inbound and you can do just about anything you want for free. A great feature Delta still offers to us all with or without status! 28) dwh asks – Which cities, based on your knowledge, give low level elites the best chance at an upgrade? It is not as much the city as it is the route. DM & PM heavy routes like ATL-LAX or DTW-ATL not good. So always fly where no one wants to go?!? 29) Jordan asks – Will Delta ever expand the Medallion upgrades program to the Hawaii routes? If not, what’s the best route to try to mileage upgrade to Hawaii? What is the best time to request these upgrades (e.g., 30/60 days before departure)? I doubt you will ever see this. Or, as many hope will happen, SWU’s will be better for both Hawaii and International use. That is our best hope. If not, look to spend the miles for the seat. It is as far as Europe so I don’t mind spending some more miles! 30) Connie asks – What is the best way to book6(family of 6)low level award tickets SLC to MCO w/o breaking them up into smaller groups and risk not having enough low level awards. I would just find anything for 6 and as talked about before add a ton of legs so you can then, later when the schedule change happens, get just what you want for all 6! Awesome! I have not been following your blog very long but I love it. Thanks for all these Q & A’s.